The rally of 1000 lakes. For many it means incredible flat out speeds, cars flying through the air, going round corners at ridiculous angles an unbelievable speeds, just inches away from the tree lined, high speed gravel roads. 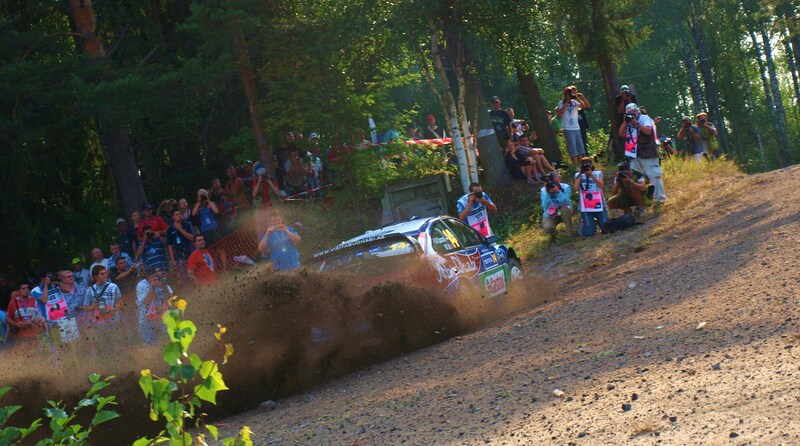 Rally Finland is known as the “Gravel Grand Prix”, and is the fastest rally in the championship. The rally has also been known for being very difficult with almost no room for error. Its an event That is often dominated by the Scandinavians and Only 4 drivers have ever stopped the Scandinavians from winning this incredible event. After a mid-season break. Most of which the teams have spent testing in preparation. Rally Finland is back to kick start the 2nd half of the 2011 season. 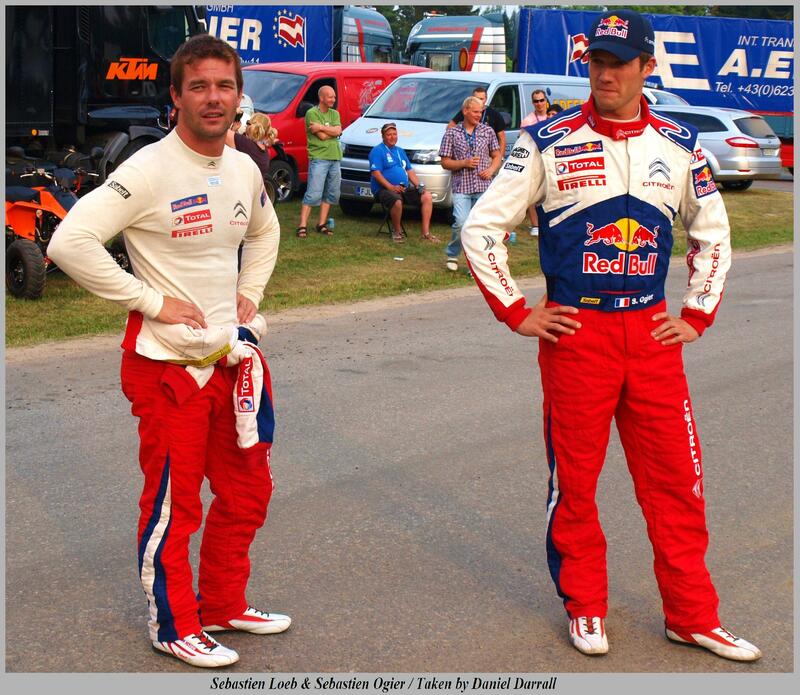 And one of thoughs few non-Scandinavian drivers that have won the event is the Frenchman and 7 times champion, Sebastien Loeb. He won here back in 2008 and will looking to win the event again for the second time. He will of course have his team mate Sebastien Ogier to contend with, a man who Loeb has been battling with for most of the season in what is already a heated inner-team rivalry. But the favorites for this event will be Ford and their two Flying Fins. Mikko Hirvonen has won here before, and back in 2010 he was set to win the event for the second time. But on the Urria stage, on what Hirvonen described as his favourite corner, he landed heavily and the car speared off into the side of the road where it then rolled at high speed, several times up a hill in the middle of the stage. Not only was it the end of his Focus but also the end his rally. 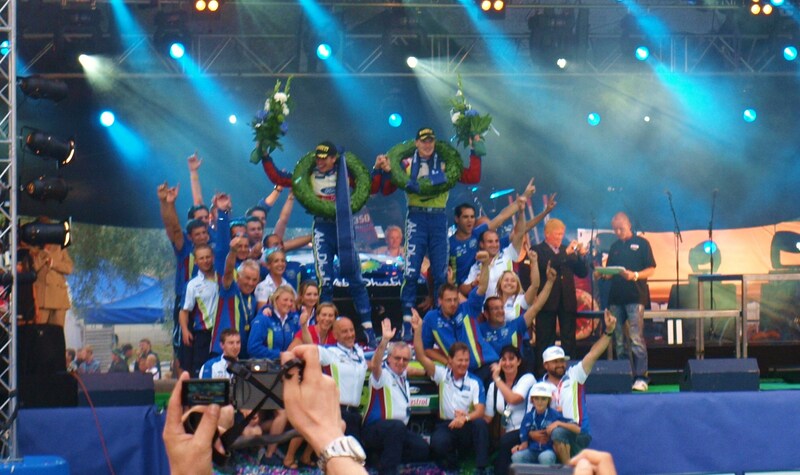 It was then infact his team mate, Jari- Matti Latvala who took the win on the incredible event. Latvala will be gunning for the victory once more this weekend on his 100th WRC rally. Petter Solberg will be doing his best to get that long awaited victory, and he has shown strong pace here in Finland in the past, but can the privateer driver go one better than the factory boys, it still remains to be seen. The Mini John Copper works WRC team will be back, after their debut back in Sardinia, and will be hitting the Finnish gravel, and sometimes flying over it. With team drivers Dani Sordo and Kris Meeke, comparing their times against the worlds best in preparation for when they officially enter the WRC next year. Kimi Raikkonen will have high expectations for his home event, although still new to the world stages, he will be concentrating more on keeping it out of the ditched and hard forest trees. Novikov will be flying in Finland once again, although probably not in the same way he did in 2009 when he almost attempted a back flip in his C4 on one of the famous big jumps. Henning Solberg and Mad Ostberg will be looking for some good results for the stobart team and aiming to break into the top 5 if any of the ‘fast five’ make a mistake. The big news in the service park is centred around Volkswagen’s 2013 entry into the WRC. VW will be running two S2000 Skodas for a sort of, ‘Driver shoot out’ in their search for their driver line up, which this weekend begins with Joonas Lindroos and Andreas Mikkelsen. In the PWRC, kiwi driver and leader Hayden Paddon will return to Finland. This time in his Symtech run Subaru and is looking for nothing short of a podium place finish. “getting on the podium is a minimum, of course we’ll be trying for more”. This years rally Finland is once again based in the town of Jyvaskyla. There will be 22 stages with a total competitive distance of 314.39km joined with long road sections. The rally kicks off on Thursday evening with 3 stages, the first being the 23km Lankamaa. The main part of the action kicks off on Friday morning with the 20.34km Hassi stage to start, with a further 7 stages. On Saturday, the final day of the rally, will contain 11 stages, starting with SS12 Leustu 21.35km and will end saturday evening with a 4km Powerstage in Laajavuori, where as always on the Power stage, bonus points will be up for grabs. This entry was posted in WRC and tagged Finland, Preview, rally, WRC. Bookmark the permalink.